We’re not just a one-industry town. We’re a melting pot of gamers, designers, scientists, engineers, brewers and bold leaders who are making an impact on the world. If you can think it, there’s probably a job for you here in that field. 3Si2 provides innovative solutions featuring intuitive, easy to use interfaces, exceptional functionality & performance. 3Si2 establishes companies worldwide with a commitment to quality, service, and customer satisfaction. Its consultative approach allows for innovative & intuitive ways to solve technology challenges with software application. Abbiotec is dedicated to developing cell biology-based research tools that assist scientific discoveries. Besides custom services, Abbiotec offers over 12,000 antibodies, proteins, peptides, lysates and kits to assist researchers in understanding human biology and diseases at the cellular and molecular levels. ACADIA Pharmaceuticals is a biopharmaceutical company focused on the development and commercialization of innovative medicines that address unmet medical needs in related central nervous system disorders. ACADIA's product candidates emanate from internal discoveries. 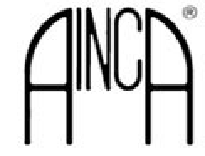 ACI Medical, LLC is a biomedical engineering firm engaged in the research, development, manufacture and sale of therapeutic products and technologies for individuals with varying degrees of limb- and life-threatening vascular conditions. ACON Laboratories is an international diagnostic and medical device company with our corporate headquarters in San Diego, California USA. For more than 15 years, ACON has led the way in making high quality diagnostic and medical devices more affordable to people all around the world. The ACON name is well known in over 130 countries. ActivX is an emerging biopharmaceutical company that discovers and develops highly selective, best in class, small molecule drugs for major unmet medical needs. ActivX uses its technology to identify target and off-target activities of drug candidates with an initial focus on the areas of hematology, oncology, metabolic and inflammatory diseases. Active Motif, a globally represented biotechnology company, is dedicated to enabling epigenetics research. We develop innovative tools and reagents that help researchers investigate nuclear function with particular emphasis on chromatin dynamics and elucidating the mechanism and regulation of epigenetic events. Aculon, Inc is the leading provider of easy to apply ultra thin surface modification technologies. We currently supply our proprietary coating chemistry to many industries including electronics, oil&gas and Specialty markets. Acutus Medical’s mission of continual innovation is focused on providing electrophysiologists with the highest quality suite of tools, coupled with outstanding clinical and technical support, to better understand and effectively treat complex arrhythmias. Adipogen Life Sciences is a leading research reagents company that develops and manufactures new products for the Life Science Research Market in its main areas of obesity & diabetes, immuno-oncology, inflammatory diseases, innate immunity (inflammasome) and antimicrobial resistance. A major focus is on innovative and advanced ELISA Kits. Advanced Brain Monitoring has developed and implemented mobile, user-friendly platforms for acquiring, integrating, analyzing and reporting multi-sensor data in real-world applications. Advanced Solutions and Consulting, Co. (ASC) has helped companies reach their professional enterprise resource planning (ERP) goals. As a Gold Level Acumatica Cloud ERP partner, we offer project management, needs analysis, industry expertise, information technology (IT) infrastructure, accounting intelligence, and reporting experience. Advanced BioMatrix provides innovative 3D matrix products, transforming science to a new level of discovery. We extract and manufacture highly purified, native, extracellular matrix proteins for tissue engineering, 3D bioprinting, cell culture, drug discovery and any other application with cells. Advanced Cellular Dynamics is a world-leader in the production, provision and application of novel cell-based assay systems. Our focus is the protein tyrosine kinase family – both internal functions and those they regulate. Advanced Systems Group engineers solutions and facilities for Digital Media, Entertainment, and Broadcast. In integrating custom file-based video and film workflows with software and storage, digital asset management, archiving solutions, and hardware, we will develop a workflow that best suits your objectives. 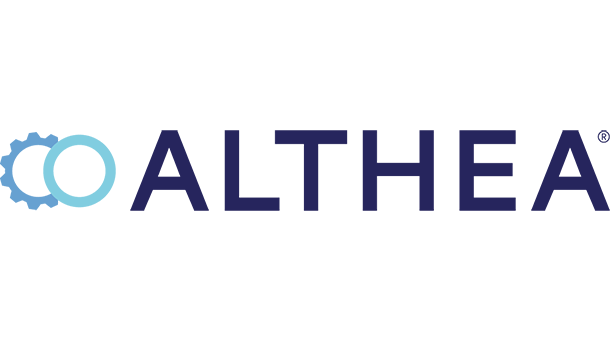 Aethlon Medical is focused on addressing needs in global health and biodefense. The United States Food and Drug Administration has designated the Hemopurifier® to an Expedited Access Pathway related to the treatment of life-threatening viruses that are not addressed with approved therapies. Agena Bioscience advances the impact of genomics in healthcare and precision medicine. Agena’s MassARRAY® System is used globally in fields such as cancer profiling for solid tumors and liquid biopsies, inherited genetic disease testing, pharmacogenetics, agricultural genomics, and clinical research. Aira Tech Corp is the first to bridge the information gap for people who are blind and low vision, greatly enhancing their independence and productivity. By leveraging leading technologies (e.g. smart glasses, mobile devices), plus interaction of trained remote human agents, Aira provides the description of life. Airspace Technology offers end to end supply chain solutions. It takes a forward thinking approach by focusing on people and technology. Airspace Technology’s experienced team provides a great workplace environment where people are rewarded for challenging the status quo. AIS offers a wide variety of cloud, data center, connectivity, and IT security services. With facilities in San Diego and Phoenix, the company provides colocation and cloud solutions over a secure, scalable platform with the security, reliability and redundancy needed to run today's most demanding IT workloads. Althea is a contract development and manufacturing organization committed to process development, drug substance manufacturing and drug product manufacturing. Althea supports early-stage clinical requirements through commercial manufacturing. Althea is an expert in executing drug formulation and aseptic fill finish for vials and syringes. Alero Technology is a global provider of Enterprise Content Management, Business Process Management, Enterprise Content Integration, and Enterprise Information Integration products and solutions to help organizations meet simple to complex business initiatives in a fraction of the time and cost required by traditional solutions. Allele Biotechnology and Pharmaceuticals, Inc. is a private, San Diego-based company that explores the mechanisms of biological processes to develop technologies and products for biomedical researchers. Increasing accessibility to innovative molecular biology research tools by offering cutting edge products at a reasonable cost is the mission. Alphatec Spine improves lives by providing innovative spine surgery solutions through our relentless pursuit of superior outcomes. We are dedicated to the design, development, launch and the delivery of spinal fusion products. Alta Solutions Incorporated develops and markets innovative data acquisition solutions for a variety of manufactured products and processes. Our company offers a complete family of signal processing products to test, measure, and analyze everything from large rotating machinery to simple roller bearings. Being a Technology & Solution Consulting company, Altexsoft co-builds technology products to help companies accelerate growth. Altexsoft achieves this by leveraging our technical, process and domain expertise and access to the best price-for-value Eastern European engineers. As an expert in drug formulation, Althea is a fully integrated contract development and manufacturing organization (CDMO) committed to the success of its clients for process development, drug substance manufacturing and drug product manufacturing. It also has the capacity to support early-stage clinical requirements. Amazon is guided by four principles: customer obsession rather than competitor focus, passion for invention, commitment to operational excellence, and long-term thinking. Driven by the excitement of building technologies, inventing products, and providing services that change lives, Amazon embraces new ways of doing things. AmpliPhi BioSciences Corporation is a biotechnology company focused on the development and commercialization of novel bacteriophage-based antibacterial therapeutics. The Company's product development programs target infections that are often resistant to existing antibiotic treatments. Analytics Ventures is a venture studio dedicated to creating and building transformative companies that harness the power of artificial intelligence to deliver global impact. These company entities not only gain access to its world-class team but they receive the foundational support they need to successfully launch their business. AnaptysBio is a clinical-stage antibody development company advancing therapeutic antibody product candidates focused on unmet medical needs in inflammation. We develop our product candidates to address emerging biological targets using our proprietary antibody discovery technology platform. Annai Systems is a genomic data analysis company committed to developing cost-reducing innovations that accelerate scientific discovery, maximize statistical power, and optimize data control. Annai Systems offers a solution designed to handle complex needs of next-generation sequencing data in clinical, pharmaceutical and research environments. Annova Chem has taken compounds from lead discovery, through clinical trials, and on to market; specializing in medicinal chemistry services, custom synthesis and providing innovative building blocks for the pharmaceutical and biotech industries and non-profit organizations. AppTech Corp. is a FinTech company with a foundation in electronic processing technologies and merchant services, and has expanded to include enterprise-grade, patent-protected software and intellectual property for advanced text messaging incorporating the ability to transact payments via secure text messaging based on NSA technology, etc. AIC is the Global Leader in providing a mobile friendly easy-to-use, scalable, and configurable web-based software solutions and mobile apps for EHS professionals, Risk Managers, Industrial Hygienists, Process Safety professionals and more. Applied Power Systems manufactures high power electronic components, power controls and power systems. Standard and custom products include high power IGBT Inverter, AC-DC Converter and AC Phase Control building blocks for industrial OEMs. Apricus Biosciences, Inc. is a biopharmaceutical company advancing innovative medicines in urology and rheumatology. Apricus has initiated a Phase 2b trial for fispemifene, a selective estrogen receptor modulator for the treatment of symptomatic male secondary hypogonadism, and plans to conduct additional studies in other urological conditions. Arcturus Therapeutics is a preclinical drug delivery and nucleic acid medicines company focused on developing novel technologies to build the next generation of safe, effective RNA and DNA medicines. We have proprietary technologies, validating partnerships, and an experienced team with expertise in delivery and nucleic acid-based therapeutics. Arima Genomics develops technologies that aim to accelerate the understanding of genome sequence and structure. Assist with issues involving any of the technology products we invite into our work life and home life, including computers, software, printers, email, networking, phones and fax, smartphones, web sites, even home entertainment equipment. I specialize in making all these things work together to provide the solution you want. AUSGAR is a DoD company that specializes in cybersecurity, engineering services, and experimentation. Headquartered in San Diego, CA with offices throughout the United States. It is a service-disabled, veteran-owned company, hiring many ex-military members. Automation GT is an innovative company focused on the design and construction of custom automated machinery and systems. AVIVA Biosciences invents devices and assays to advance the study of eukaryotic cells. AVIVA serves as a contract research organization providing safety screening with emphasis on ion channels. Aviva Systems Biology Incorporated specializes in providing polyclonal and monoclonal antibodies for research needs. Unlike other companies, we design, manufacture and validate our own antibodies. We currently offer over 16,000 antibodies to the most popular protein targets. Azco specializes in solutions for nucleic acid synthesis and Detection. We also offer a full line of refurbished instruments including sequencers, real-time PCR, HPLC and other instruments. And, we support these instruments with a full line of reagents and back them up with world-class service and support. Bachem specializes in the development of innovative, efficient manufacturing processes and the reliable production of peptide-based active pharmaceutical ingredients. A comprehensive catalog of biochemicals and exclusive custom syntheses for research labs complete the service portfolio. San Diego-based Ballast Point is known for adding its own touch to craft brewing and distilling, and asking if there’s a better way. As an international, award-winning leader in the craft brewing and spirits industry, the company makes over 50 styles of beer and bottles 14 spirits. 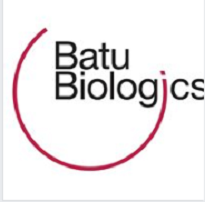 Batu Biologics is a biotechnology-based pharmaceutical company focused on the development and commercialization of novel therapies that target the “Achilles Heel of Cancer”: the tumor blood vessels. Our lead product is a polyvalent therapeutic vaccine targeting the tumor endothelium, ValloVax™. 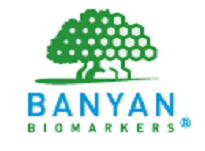 Banyan Biomarkers is developing the first objective blood test that may rule out the need for CT scans in patients with suspected mild traumatic brain injury. 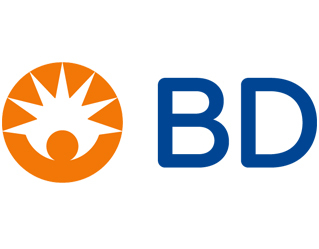 One of the largest global medical technology companies in the world, BD is advancing the world of health by improving medical discovery, diagnostics and the delivery of care. 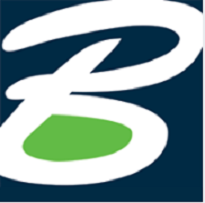 BD develops innovative technology, services and solutions that help advance both clinical therapy for patients and clinical process for health care providers. Beckman Coulter is a trusted partner for laboratory professionals, helping to advance scientific research and patient care. We do challenging work on a global scale, and are invested in growing our associates’ careers. We embrace continuous improvement, and are passionate about moving science and healthcare forward. Bentley Systems is the leading global provider of software solutions to engineers, architects, geospatial professionals, constructors, and owner-operators for infrastructure purposes. Bentley’s MicroStation-based engineering and BIM applications advance project delivery and asset performance of public works, utilities, etc. BeyondTrust is the worldwide leader in Privilege-Centric Security, offering the most seamless and straightforward approach to preventing data breaches related to stolen credentials, hijacked insider accounts, and misused privileges. Beyondsoft Consulting, Inc., is a leading business IT solutions & consulting company that combines emerging technologies and proven methodologies to tailor elegant solutions that solve complex challenges and empower our customers to achieve more with end-to-end support for cloud, digital, data analytics, multi-language translation, and testing. Binding Site supplies the world’s laboratories with the clinical diagnostic tools to effectively diagnose and monitor disease. Binding Site researches innovative ways of producing antibodies. Binding Site continues to build specialist protein heritage offering over 200 protein assays across a range of clinical diagnostic systems. BioAtla is a protein therapeutic company that uses discovery and evolution to develop safer and more potent drugs for cancer treatment. The culmination of our discovery and evolution expertise is our Conditionally Active Biologics platform, whereby monoclonal antibodies or other biologics can be engineered for selective conditional activation. Biocept is a molecular oncology diagnostics company specializing in biomarker analysis of circulating tumor associated DNA , both in Circulating Tumor Cells (CTCs) and in plasma (cell free circulating tumor DNA). BioGrammatics Inc. is an industry leader in the heterologous gene expression of the single-cell, eukaryotic Pichia pastoris yeast. BioGrammatics’ mission is to deliver detailed solutions within the research and development field, specializing in high-quality products and contract services. BioLabs San Diego is the premier co-working space for life science startups in Southern California. We offer flexible and fully equipped co-working lab and office space where bioinnovators can test, develop and grow their game-changing ideas. Built by entrepreneurs for entrepreneurs, we are enabling awesome – one bench at a time. BioLegend develops world-class, cutting-edge antibodies, recombinant proteins, bioassays, and other reagents for biomedical research. 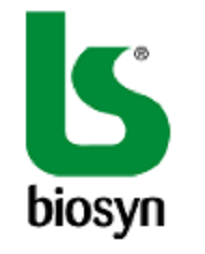 Biolegend’s mission is to accelerate research and discovery by providing the highest quality products at an outstanding value, along with superior customer service and technical support. Reliably preserving and delivering rare biomarkers and assays to the clinic. Biomatrica's technology stabilizes and protects critical biological material without lyophilization or degradation. 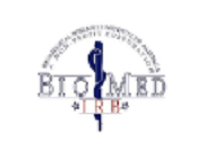 BioMed IRB is a non-profit independent Institutional Review Board committed to superior human research subject protection by maintaining the highest ethical standards while providing prompt personal services in an efficient and cost effective manner. BioMedical Strategies LLC offers strategic marketing services for clients in the medical device industry with special attention to assuring that product development plans, clinical studies and regulatory strategies support adequate reimbursement from Medicare and other insurance payers. BioMedicure is an emerging, research-driven biopharmaceutical company dedicated to discovering and developing safe and effective products for cancer prevention, control and treatment. BioMedicure has developed three proprietary platforms to prevent cancer, kill metastasized cancer cells, and eliminate solid tumors. Biomiga, Inc. is an innovative biotech research and service company based in San Diego, California. Biomiga's mission is to provide the highest quality laboratory products while maintaining the best possible service and support to our end-users. Bionano Genomics® is committed to unlocking understanding of genome biology to advance the promise of genomics in areas including cancer and human disease, agricultural bioengineering and genome discovery. Biorasi is a contract research organization widely recognized for delivering success in complex clinical trials. This is possible through TALOS™, an innovative operating model that unifies systems and teams with a powerful project management methodology to ensure high quality delivery. BioSpyder Technologies developed a novel product for targeted sequencing called TempO-Seq™, a gene expression profiling tool designed to monitor up to thousands of genes at once. TempO-Seq can analyze expression in samples with thousands of cells or from single cells without pre-amplification, maximizing utilization of precious/limited samples. Biota deploys DNA sequencing and data science to explore the earth’s subsurface. Biota provides actionable diagnostics to the oil & gas industry for maximizing reservoir economics and reducing environmental impact. 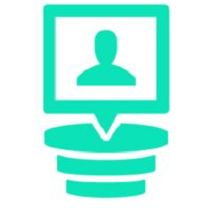 Biota delivers multimillion–dollar value with insights into drainage volumes, well connectivity, and engineered completions. Biotix is a world-class manufacturer of laboratory consumables and liquid handling solutions. BIOTRONIK is a leader in cardio- and endovascular medical technology (pacemakers, implantable defibrillators, stents and remote patient management). BlueKite Apps is a leading app development company in San Diego. It designs and develops best-in-class mobile and web applications for clients from growing startups to enterprises. Its services include iOS app development, android app development, custom software development, and cloud computing. With 60 production and engineering sites in 27 countries, Bombardier Transportation is a global leader in the rail industry. We value diversity because it leads to better ideas, stronger products and higher customer satisfaction. At Bombardier, our employees speak 65 languages, represent more than 100 nationalities and work in 45 countries. BPS offers one of the largest selections of recombinant enzymes for drug discovery and continues to expand its drug discovery products. BPS also provides custom protein expression, biochemical and cell-based assays, cell line development, and compound screening services. Brain Corp is a software technology company specializing in the development of intelligent, autonomous systems. BrainOS is the foundation of Brain Corp’s A.I. platform technology. It is a proprietary operating system that integrates with off-the- shelf hardware and sensors to provide cost-effective ‘brains’ for robots. Bridgepoint Education brings technological and academic innovation and intellectual property development to colleges and universities that desire to serve students through online education programs. Brymill is the world’s leading manufacturer of handheld, liquid nitrogen cryosurgical and cryospray devices. Brymill offers the most comprehensive selection of equipment and accessories, providing unsurpassed safety, versatility, precision and control. Cato Research is an international regulatory and clinical contract research organization that has been delivering successful outcomes for its clients for more than 25 years. Through highly qualified personnel located in offices around the world, CATO offers tried-and-trusted international coverage. Celgene Corporation is an integrated global pharmaceutical company engaged primarily in the discovery, development and commercialization of innovative therapies for the treatment of cancer and inflammatory diseases through gene and protein regulation. 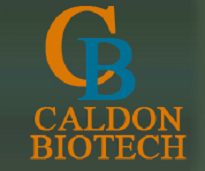 Cell Applications Inc.'s products and custom services support basic life science research and biopharmaceutical drug discovery. CAI’s Center for Primary Cell Innovation pushes the edges of technology, with regular advancements developed in collaboration with academic & industry experts. Cell IDx was founded to be the technology leader in multiplexed cellular immunodiagnostics. We are a privately held biotechnology company committed to developing highly sensitive and specific reagents for research and clinical immunohistochemistry and other immunoassays. Cello Therapeutics, Inc. specializes in the development of nanoparticles composed of FDA-approved cancer drugs loaded within a biocompatible polymer core for cancer treatment. These nanoparticles are then coated with natural red blood cell membrane, a recent breakthrough technology in the field of nanomedicine. ChemCyte is an innovative life sciences company that serves biotech and pharmaceutical companies in developing products. ChemCyte specializes in custom synthesis of nucleoside and nucleotide analogs with special emphasis on labeled nucleotide for genomic research to provide excellent service, best quality, and low-cost products. ChromaCode is a molecular diagnostics company with a bioinformatics focus and pedigree from Illumina, Google[x], Luminex, and Caltech. We leverage patented mathematical methods and algorithmic enhancements to enrich signal processing from the most popular life science instrumentation. Cidara is a clinical-stage biotechnology company focused on developing new anti-infectives that have the potential to transform the standard of care and save or improve patients’ lives. Cidara also leverages the novel Cloudbreak™ platform to develop antibody-drug conjugates for treatment of serious viral and Gram-negative bacterial infections. CliniComp, Intl., a San Diego based company, is a global provider of Electronic Health Record hardware, software and support solutions that has enjoyed an unrivaled track record of performance and reliability in complex high acuity hospital environments for decades. 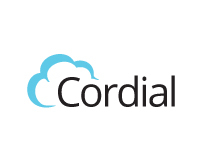 Cloudbeds creates cloud-based hospitality management software that simplifies the working lives of professional property owners, operators, and employees. Tens of thousands of hotels, hostels, vacation rentals, and groups in over 135 countries trust Cloudbeds’ award-winning software. Companion Medical is a leader in the development of advanced technology to improve diabetes care. Companion’s InPen system is available in the U.S. and is the only FDA-cleared, smart insulin pen paired with an integrated diabetes management app. Companion received CE mark in July 2018, paving the way for launch in key international markets. CompuCom Systems, Inc. provides end-to-end managed services, technology and consulting to enable the digital workplace for enterprise, midsize and small businesses. Celebrating its 30th year, CompuCom delights with individualized experiences, drives workplace collaboration and productivity, and delivers operational performance and efficiency. Named after the founder’s hometown of Coronado, the Coronado Brewing Company is staple in the San Diego craft brewing community. With more than 20 years in operation, it has now expanded to a 30 barrel brewhouse capable of producing 40,000 barrels a year. CorTechs Labs develops and markets brain imaging solutions used by neurologists and radiologists in hundreds of clinics/research centers around the world. CorTechs Labs’ team includes scientists, engineers, business professionals and clinical specialists working towards the goal of improving the care and treatment of patients with CNS disorders. Cox Business is more than part of a cable company; it’s a technology solutions leader. In addition to offering phone, internet, and TV services for businesses, it consults with companies of all sizes to provide managed network services, cloud infrastructure, managed hosting services, and other emerging technology solutions. Come connect with us. Creative Electron provides hardware and software solutions using X-ray and AI technology to help its customers improve their products through innovative inspection and defect detection. Neuropeptide Receptor Targeted Therapeutics for the Treatment of Endocrine Diseases and Cancers. Crinetics is driven by a passion for drug-hunting and tempered by a post-recession startup culture. The goal is to create new therapeutics that can make a meaningful difference in the lives of our patients. Crown Bioscience, Inc. is a platform technology company providing drug discovery and development services in oncology, inflammation, and metabolic diseases. 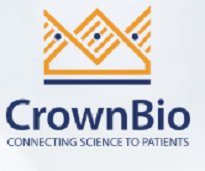 CrownBio helps biopharm. companies solve challenges with end-to-end preclinical solutions, a collection of well-validated in vitro, in vivo, and ex vivo models, and cutting-edge technologies. Cubic Corporation is the parent company of three major businesses, Cubic Transportation Systems (CTS) – payment and IT for travel solutions, Cubic Global Defense (CGD) – combat training systems and support services for the military, and Cubic Mission Solutions (CMS) – technology and surveillance for numerous missions. 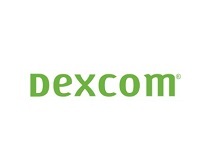 Founded in 1999, Dexcom, Inc. is transforming diabetes care and management by providing superior continuous glucose monitoring (CGM) technology to help patients and healthcare professionals better manage diabetes. Diakont is an industry-leading provider of technology-enabled solutions and services supporting the safety and economy of the energy industry. Leveraging decades of engineering expertise, Diakont is proud to partner with pipeline, storage tank operators, and nuclear plant operators around the world to support asset integrity management programs. Lilly is a global healthcare leader that unites caring with discovery to make life better for people around the world. It fulfills its mission by discovering medicines that meet real needs, improving the understanding and management of disease, and giving back to communities through philanthropy and volunteerism. EpiSci is founded on a diverse set of capabilities bound together by a single mission: solving our nation’s most critical challenges. Through its Tactical Artificial Intelligence expertise, it develops next generation autonomous technologies that empower its military and commercial customers to accomplish their missions faster, safer, and better. ESET® is an IT security industry pioneer and maker of the award-winning NOD32® proactive technology. Our security solutions protect over 100 million computer users − businesses and consumers – in more than 180 countries, enabling them to enjoy safer technology. Founded in 1956, FICO introduced analytic solutions such as credit scoring that have made credit more widely available around the world. Now, its use of Big Data and mathematical algorithms to predict consumer behavior has transformed entire industries. The company provides analytics software and tools to manage risk, fight fraud and more. FoxFury creates cutting-edge lighting and technology products that are used in a variety of industries, including fire, police, military, industrial, film, and photography. FoxFury’s mission is to deliver premium and reliable products that keep users safe, so they can get the job done quickly and effectively. Fuse designs, engineers, and delivers innovative network and software solutions to meet the needs of the warfighter and first responder. As a Service-Disabled Veteran-Owned Small Business (SDVOSB), Fuse is dedicated to advancing warfighter capabilities with elegant, user-focused communications, networks, and software solutions. 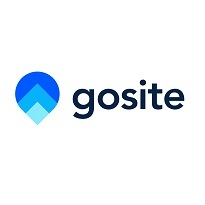 GoSite is a software company that builds modern online products for businesses. Our cloud based product suite features web tools to power businesses online, including critical web management and data driven technology. We are on a mission to empower businesses and help them stay connected with new and existing customers. Guru is an app that makes the museum experience interactive, immersive, and compelling for visitors both inside and outside museums, zoos, and aquariums. Guru allows visitors to transcend the static exhibit and engage in the interactive discovery of culture, exploration, and personalization. Hologic is a medical technology company primarily focused on improving women's health and well-being through early detection and treatment. Human Longevity, Inc.™ (HLI) is a genomics-based, health intelligence company creating the world’s largest and most comprehensive database of whole genome, phenotype, and clinical data. 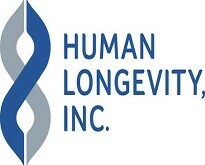 Its goal is to extend healthy human life by revolutionizing human health and transforming the practice of medicine. Integrated Device Technology, Inc. develops system-level solutions that optimize its customers’ applications. 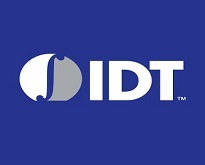 IDT’s market-leading products in RF, timing, wireless power transfer, serial switching, interfaces and sensing solutions are among the company’s broad array of complete mixed-signal solutions for a wide variety of segments. Illumina’s goal is to apply innovative technologies and revolutionary assays to the analysis of genetic variation and function, making studies possible that were not even imaginable just a few years ago. These studies will help make the realization of personalized medicine possible. Inseev Interactive is a San Diego based performance digital marketing agency. We specialize in PPC, SEO, CRO, and website development. Because every marketing dollar we spend is designed to pay for itself, we measure and monitor our efforts like a hawk as we undertake campaigns, and adjust accordingly to ensure maximum efficiency. Intuit builds intuitive web, mobile, and cloud solutions that generate more money, more time, and more confidence for 46+ million people. Leveraging big data insights, machine learning, and powerful automation, it helps consumers, small business owners, and the self-employed achieve their dreams of prosperity. 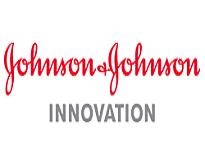 Caring for the world, one person at a time inspires and unites the people of Johnson & Johnson. It embraces research and science - bringing innovative ideas, products and services to advance the health and well-being of people. LeadCrunch[ai] solves the problem of finding optimal B2B targets by analyzing your best customers to identify “Smart Personas". LeadCrunch[ai] then engages look-alike personas with relevant content to generate permission-based leads. LiteScape is an enterprise software company that creates applications for Voice over IP devices across various industries. LunaDNA is the first and only genomic and medical research database owned by its community. A venture-backed Public Benefit Corporation, LunaDNA enables people to own and share their genomic information for the greater good of the community and medical research and earn from medical discoveries at the same time. Lynx Biosciences is offering a precision oncology service that allows patients and their caregivers to identify the most effective treatment options based on a functional analysis of the patient’s own cancer cells. Lytx® is the world’s leading provider of video telematics, safety, and productivity solutions for commercial and public sector fleets. Its unrivaled Driver Safety Program, best-in-class DriveCam® Event Recorder, and proprietary machine vision and artificial intelligence technology are proven to help save lives and reduce risk. 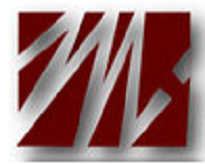 Measurabl is the world’s fastest-growing sustainability software for the built environment. Our automation tools make it easy and accurate for more than 5 billion square feet of commercial property across 67 countries to collect sustainability data, analyze, and report on performance, and identify energy and water efficiency opportunities. MindTouch is a smarter knowledge base that allows support teams to create and publish content into a customizable self-service experience. Extra capabilities include multiple API endpoints, CRM integrations, and powerful reports.